Those of you who contacted me recently about experiencing difficulties posting comments, thank you. Initially, I thought it was just me. And, I thought it was just my site until I encountered the same problem on other blogs using the Disqus system. The common thread: all were on the Blogger platform. I'm still not sure who was responsible – Disqus or Blogger – but, after an extremely frustrating week of back and forth emails, it appears to be resolved. I'd like to hang in there with the Disqus system on this site. The way in which the comments thread, enable me to converse directly with you. It also makes it easy for you to communicate with one another. This appeals to the community builder in me. It also makes for some wonderful conversation – and not to brag...but...I think my readers leave and engage in some of the best comments on the web on this site. Just to be clear, you do not have to be a registered user with Disqus to jump into the conversation. You can post as a Guest or you can log in using your Twitter account. In addition to having readers who leave thoughtful comments, ever since I put up the Contact Me link under the header, I have lots of readers who send email. I love hearing from each and every one of you, whether it's to share your own story or to ask a question. I frequently get asked the same questions, again and again. Hence, this post. So, let's jump in and address some. 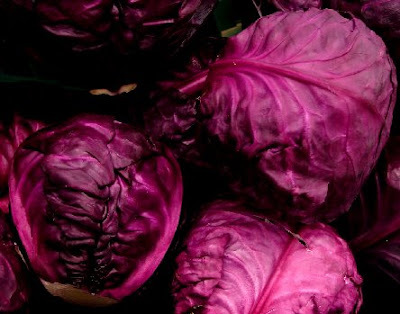 What exactly is a raw, living foods diet? Ask 10 different people that question, and you'll likely get 10 different answers. So, I’ll tell you what a raw, living foods diet is for me: eating food in its natural state, not refined, not processed. That means, I consume a primarily plant-based diet, consisting of fresh fruits, vegetables, nuts, seeds and sprouts. 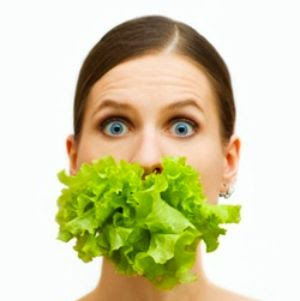 Do you have to be a vegetarian to benefit from eating raw foods? Absolutely not. Raw foods can and should be enjoyed by everyone. I do not, however, recommend the consumption of raw meats. 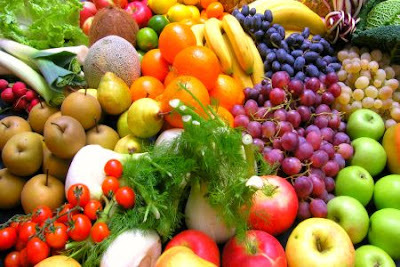 But, please, enjoy more raw fruits and vegetables, picked fresh and full of nature's abundant energy. No, I'm not. I consume raw honey quite regularly and raw goat cheese occasionally. I also enjoy kefir. 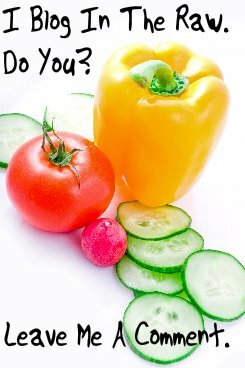 Do you eat 100 percent raw foods? Some days, yes. Do I eat raw 100 percent of the time? No. It has never been my goal to become a 100% raw foodist. Vibrant health has always been, and remains, my goal. I think people too often feel the need to label the way they're eating. Aspiring raw foodists are no different. But, a raw label never made anyone healthy. Last time I stepped on a scale: 103 pounds. Why don't you post your weight loss or before and after pictures? It's never been my intention to make In The Raw a weight loss blog. There's lots of those out there already. Look, this whole journey began with my stating an intention to change my relationship to food. There's been many factors involved in that, not just what I put into my mouth. I've had to alter a lot of unhealthy behaviors and, more importantly, my thoughts. When I made the decision to stop dieting and start living, I not only stopped weighing and measuring my food, but I also stopped the incessant weighing and measuring of myself. For years, my self worth was equated with that almighty number on the scale. I weigh and measure myself once a month. That's it. Occasionally, I'll drop that number into a post. I choose to focus on how I feel rather than how much I weigh. That said, rest assured, there will most likely come a day when my body has completed the bulk of its detoxifying and my weight stabilizes. This, I believe, will be my body's natural weight. What that might be, I can't say, but I know for certain, it's not a number on a chart created by the insurance companies. When my body does reach its natural weight, I will probably post photos of me beside my "fat pants" and we'll all jump up and down and have a big party together. Okay? How many calories to you eat? Not a clue. I don't count calories, points, fat grams or carbs. What is your daily meal plan? I know every person who asks me this question, wants to hear something altogether different, like "I eat x-amount of protein and x-amount of fruit at such and such time." Sorry. Can't do it. 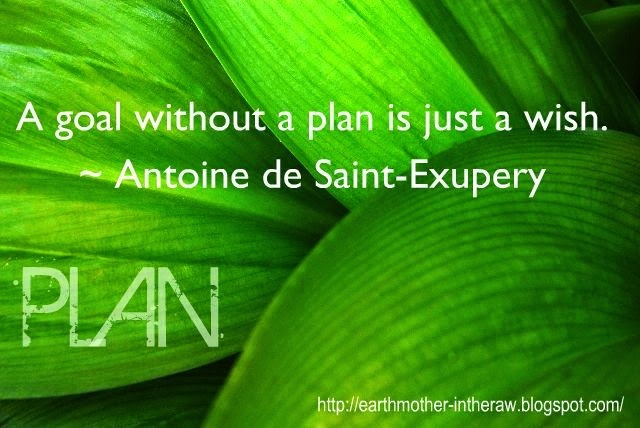 If there is a "plan," it's continually transforming as I continue to transform. I take my cues from my own body. This alone has perhaps been the greatest change of all – simply learning how to listen to my body. I know that won't make a lick of sense to a lot folks, but to those of you who suffered from any form of disordered eating, life-long dieting or chronic health conditions, you'll know exactly what I speak of. Between 8:00 and 10:00 am: a quart or more of fresh spring water with lemon. Between 11:00 am and 2:00 pm: I usually eat fresh fruit. Lately, I've been polishing off a whole watermelon. 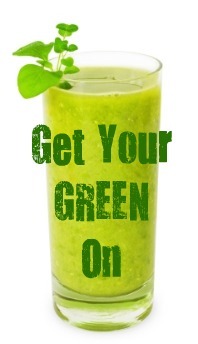 Around 4:00 pm: a quart or more of green smoothie, or maybe some romaine roll-ups with raw almond butter and raw honey. Between 6:00 and 7:00 pm: large salad (mixed greens, bell pepper, tomato, onion, avocado, sprouts) with either a raw entree, or if I have something cooked, it's usually steamed veggies or a baked potato. Sometimes, I enjoy a sweet treat like a bowl of raw ice cream or sorbet. I eat rather simply, especially now that the weather's warmed up and fresh, just-picked produce is in abundance. I walk 5K every morning and every evening – my walking partner/Siberian husky, Maya, sees to that. I have a daily yoga practice. I love hiking in the woods (Maya too! ), so I'm out there at least three or four times a week. Just got a pair of inline skates for my birthday, so I'm starting to rollerblade. Lookout folks! Do you feed your dog raw food? Maya eats BARF – that's bones and raw food, to you and me. She descends from wolves. They eat meat and thrive on it. Any meat and/or bones she consumes are free of hormones and antibiotics. She also loves apples, blueberries, watermelon, sweet peas and corn on the cob. Oh, and green smoothies. Can you recommend any books? Yes, a bunch. Take a look in the right sidebar. Visit my store, In The Raw Kitchen, to see an even larger selection of books and dvds. So, there you go, the questions I am asked most frequently. Feel free to pick one and answer it yourself in the comment section below.